Legit Reviews Mods and Ends Corsair Gaming M65 PRO RGB Gaming Mouse – What’s New to Review? 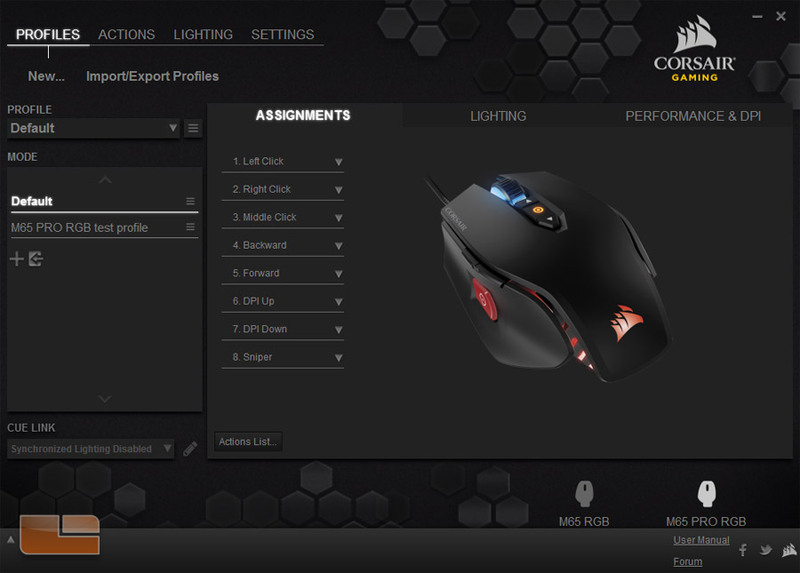 Corsair Gaming M65 PRO RGB Gaming Mouse – What’s New to Review? 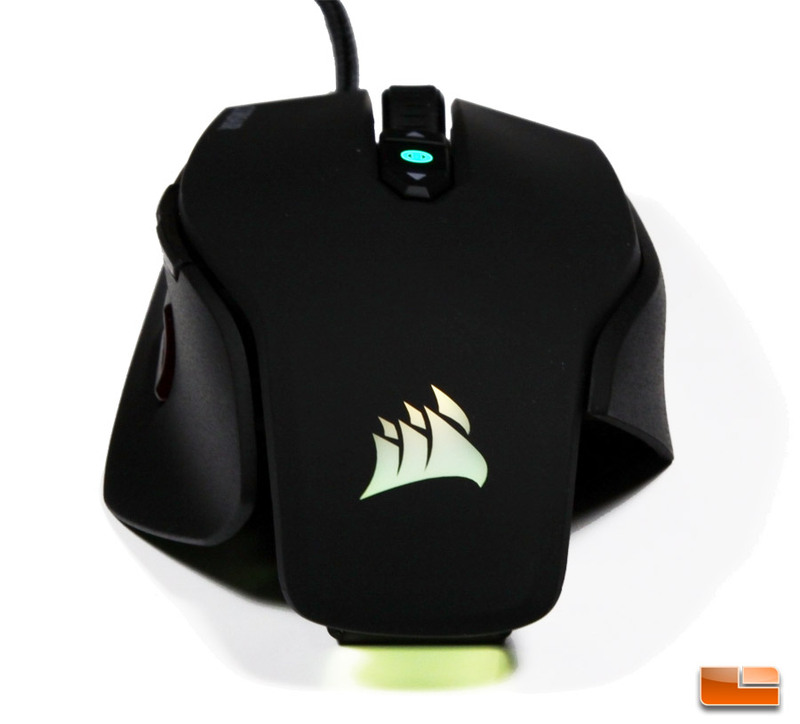 Today, we’re taking a look at a new gaming mouse from Corsair that’s not really all that new. 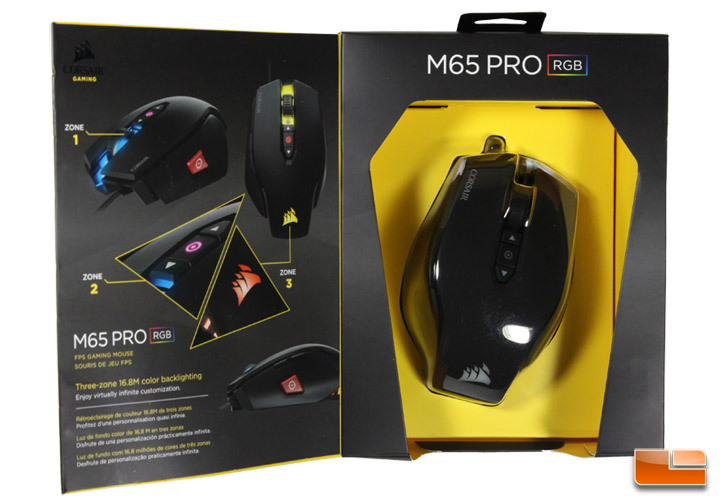 Welcome the M65 PRO RGB, a refreshed M65 RGB with a new tracking sensor and some other small cosmetic changes. 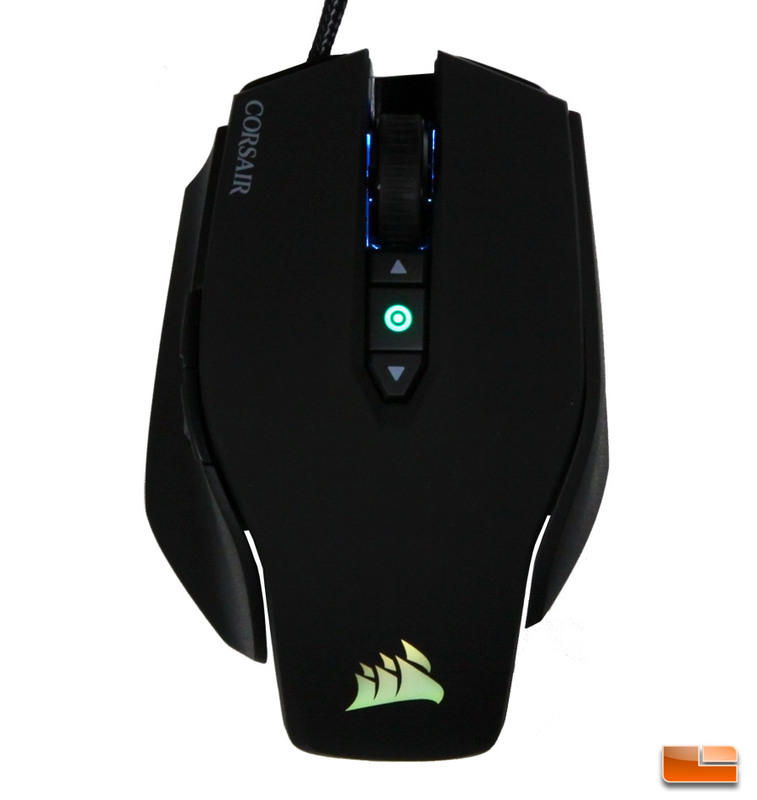 That mouse launched in 2014 alongside the Corsair Gaming branding which was met with substantial mockery for the “tramp stamp” logo. 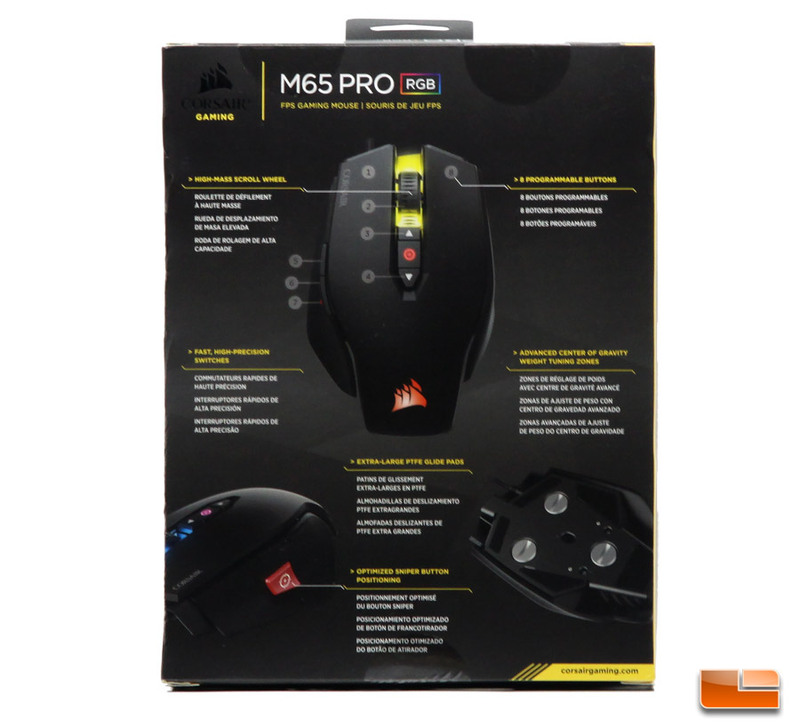 The new M65 PRO RGB is the same mouse as the M65 RGB with some updates. As such, much of what we have said about the M65 RGB in our review can be extended to the M65 PRO RGB. 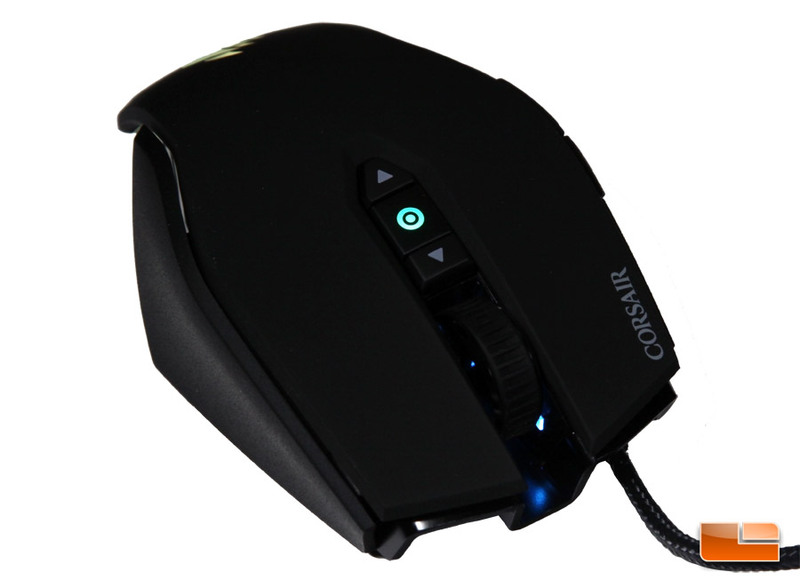 It retains the same overall mouse design with eight buttons including a “sniper” thumb button, three zone RGB lighting, and weight tuning. 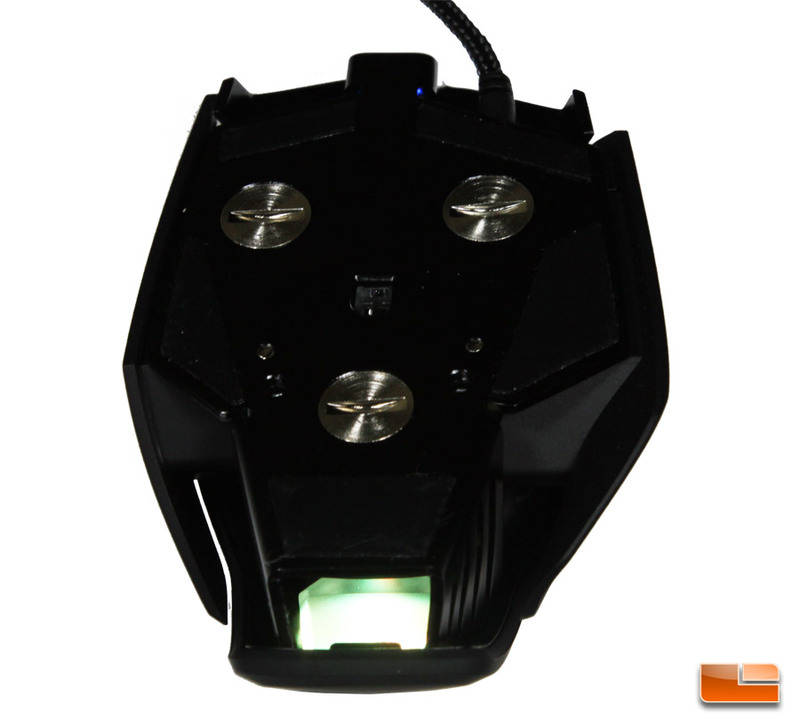 The one major update in the M65 PRO RGB is the 12,000 optical DPI sensor which is updated from the 8200 DPI laser sensor in the M65 RGB. This is meaningful because optical sensors have the better reputation for more accurate tracking over laser sensors. Additionally, Corsair has implemented a surface calibration feature to improve performance that is not available with the old M65 RGB. 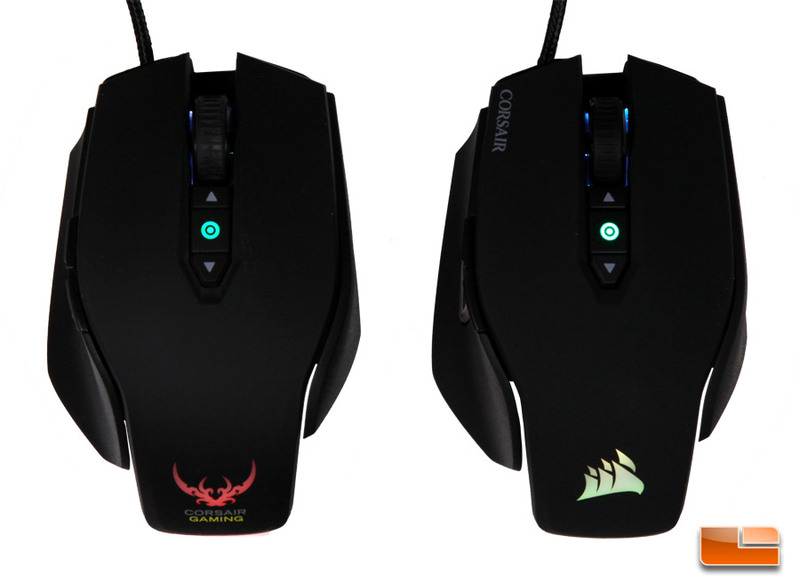 The few other things that are different is the new Corsair sails logo which was unveiled last year and the placement of the Corsair name logo on the left button. 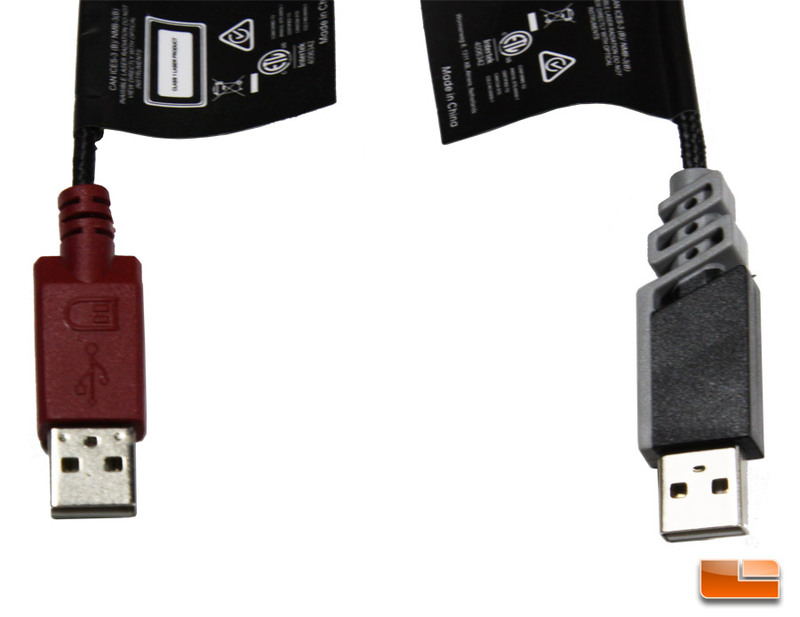 The USB plug is also different and is most notably a different color going from red to gray and black. The RGB light settings in the Corsair Utility Engine (CUE) software have drastically changed since we reviewed the M65 RGB. 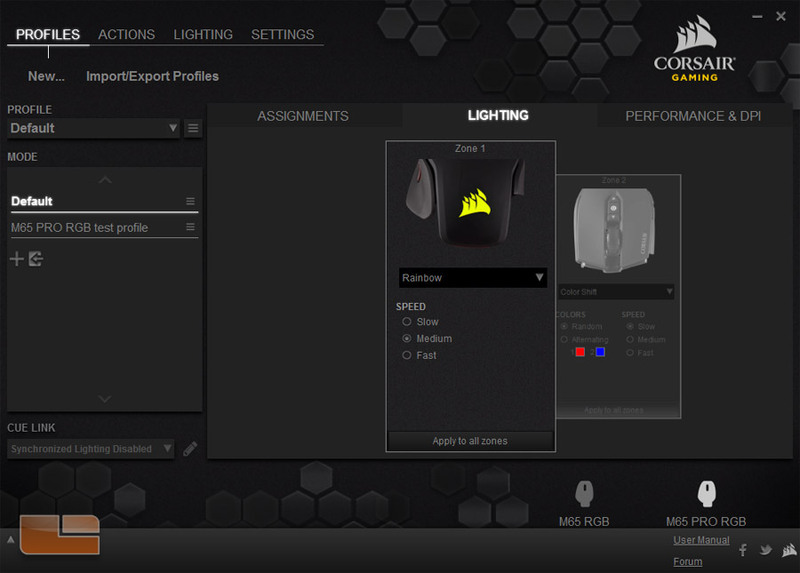 Then, users had to create their own lighting sequences which was difficult for many to learn how to do. 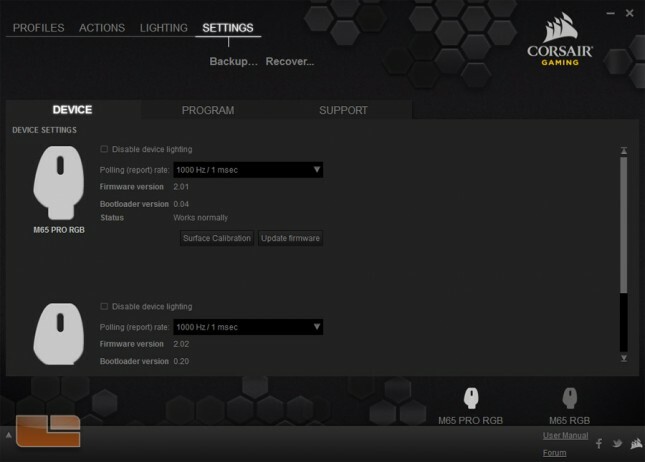 CUE in its current state has replaced that functionality with several lighting effect presets. This makes changing the colors and effects of RGB lights substantially easier, but eliminates the possibility of designing entirely personalized effects. 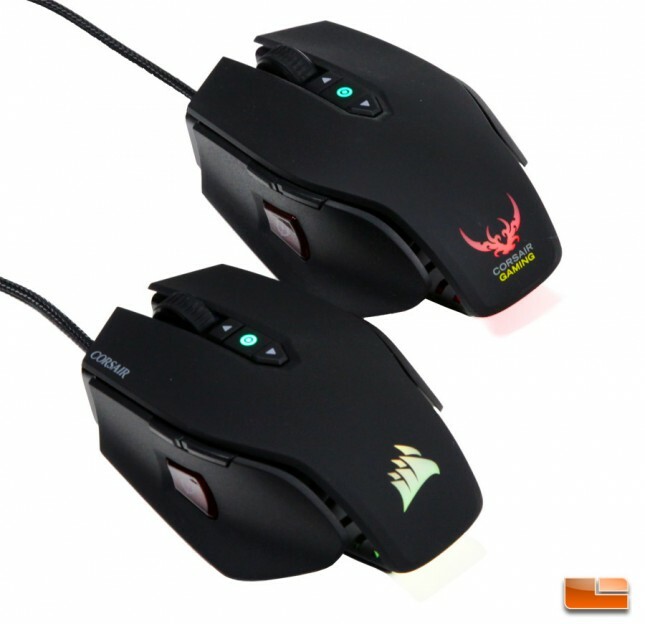 This current software and firmware functionality applies to both the M65 RGB and M65 PRO RGB. 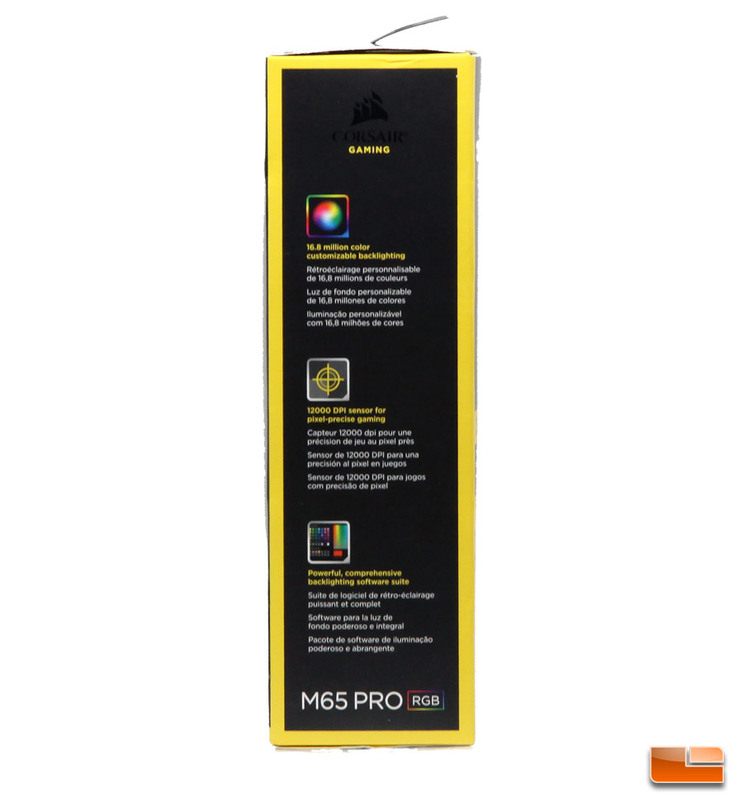 New to the M65 PRO RGB and not available to the preceding M65 RGB is surface calibration. This feature is not mentioned on the box packaging and is placed in a submenu separate from the mouse profile settings. This feature can be accessed from the SETTINGS tab on the top and then the DEVICE submenu. This is also where changes can be made to the polling rate and the device firmware can be manually updated. From this menu, press Surface Calibration and a new window will popup. The instructions direct the user to click and hold the icon, then dragging it in quick circular motions until the process is complete. It’s actually not that picky to the movement of the mouse as we drew a duck and it still worked. A message at the bottom will then confirm the completion of calibration. 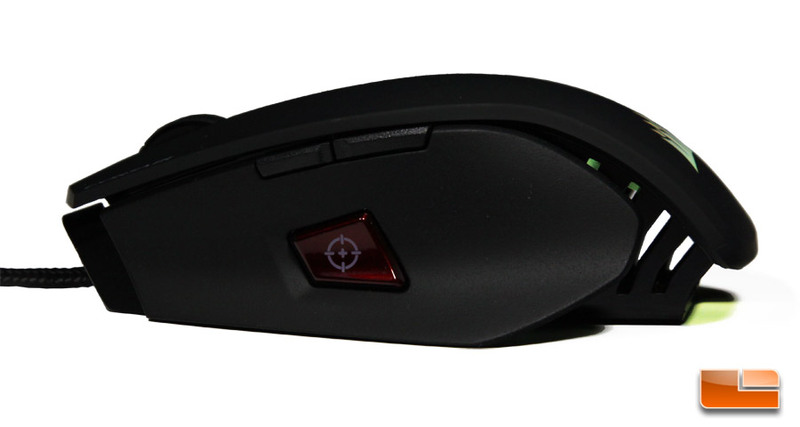 We tested this mouse with and without surface calibration on various surfaces including cloth, wood, and shiny hard plastic. There was no apparent difference in performance whether the sensor was calibrated or not which suggests that the new optical sensor used is already quite reliable. 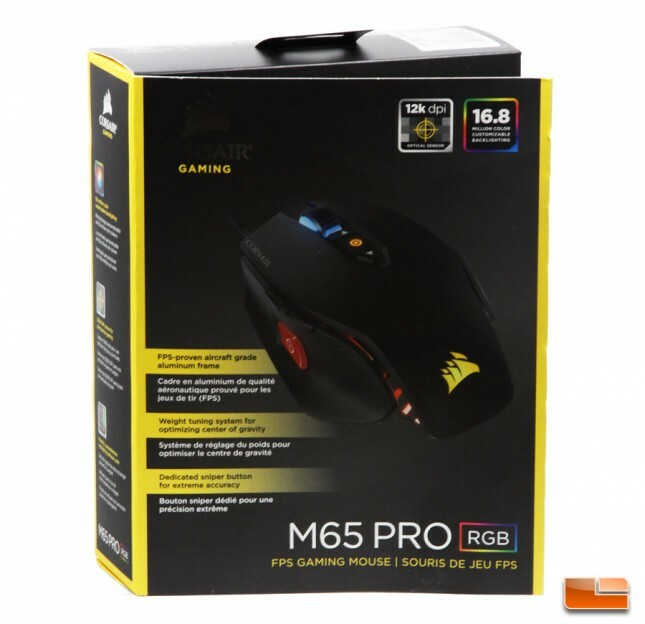 The M65 PRO RGB can be found on Amazon for the initial launch price of $59.99 with free shipping. 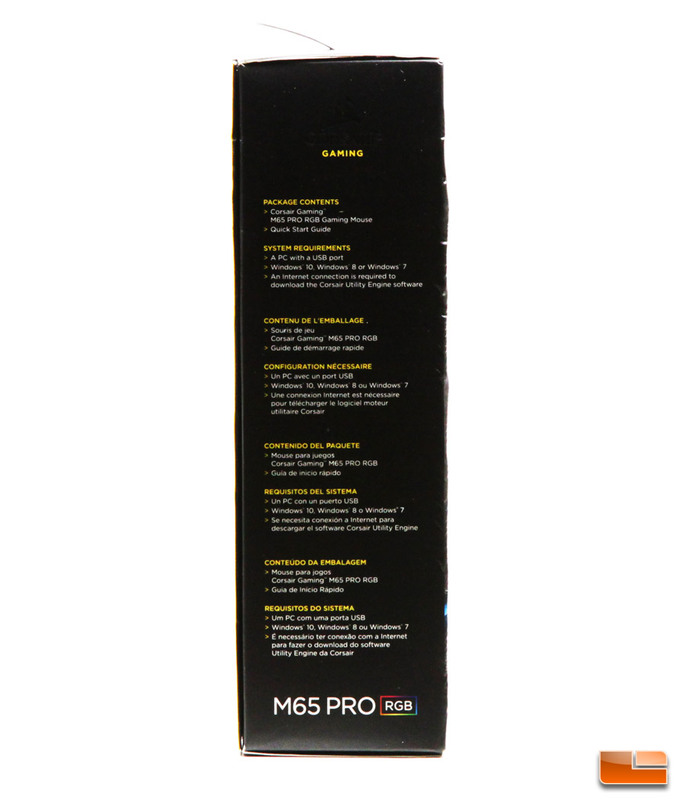 Much of what is stated in our M65 RGB review can be applied to the M65 PRO RGB particularly remarks on the ergonomics and usage. 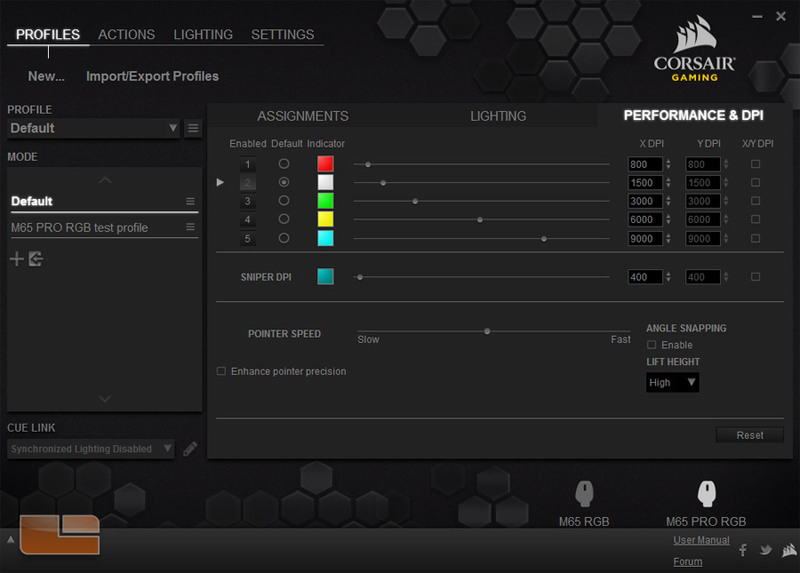 What’s different is the software as CUE has a simplified lighting menu and applying light effects is much easier than it was in 2014. 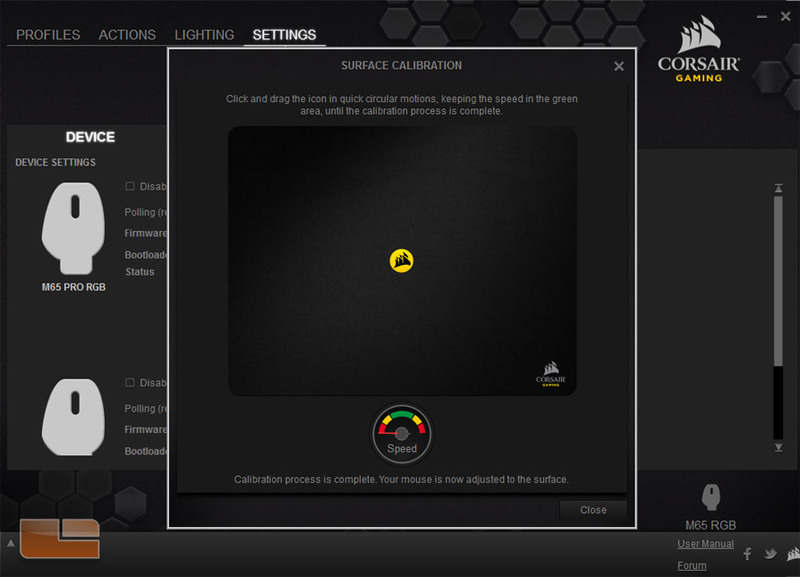 Update 4/19/2016 7:12 PM PST – Corsair pointed out that we completely missed the new surface calibration feature for the M65 PRO RGB. The article now goes over that information.